For the next two weeks, those who have joined me in my current offering of Squarespace Sovereignty are in a period of integration. This space is carved out for them so that they may really sit with the space of their website that they are crafting and explore what desires to come forward for them without ingesting any new material. It’s two weeks of them and their online spaces, listening, exploring, visioning, playing, and celebrating all that has unfolded and all that is to come. I have been in what feels like a period of integration this year myself as I sit in inquiry with my ancestors in a place of listening and learning. 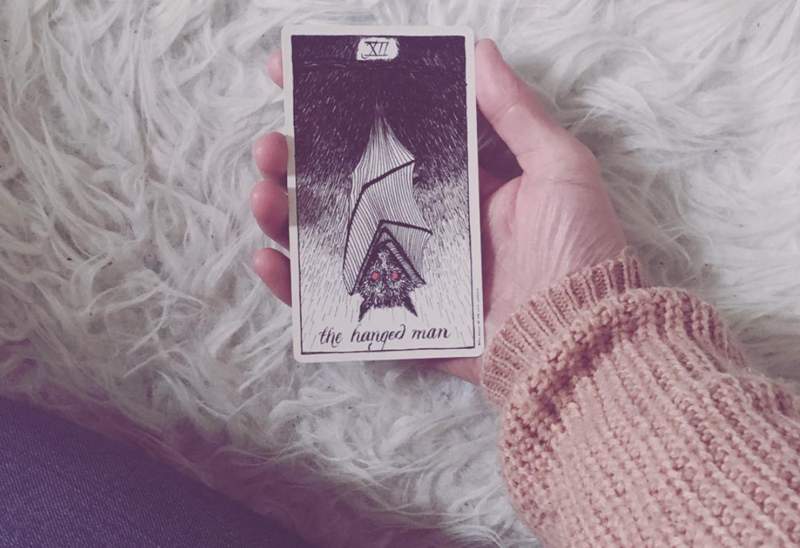 I pulled The Hanged Man for a client recently - a card of pause, of rest, of integration - and she spoke of how it seemed that the bat in this card was embraced in a blanket of wings - a little cocoon of growth and transformation. I love the wisdom in this card and in what my client saw in this cute little 🦇. Sometimes the deepest flashes of wisdom come from the stillness and pause within. From that place, we can take action - when the time is right.